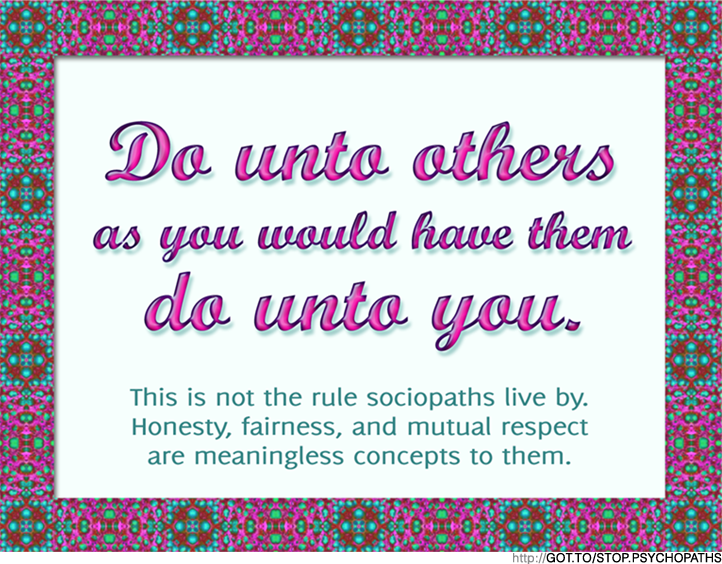 The sociopath is a high level con who manages to dupe people so thoroughly that his/her fans will persecute, silence, and ostracize a victim who complains about mistreatment. These people are in denial and they will reject information that doesn’t correspond to their highly favorable perception of the sociopath. 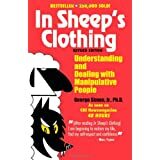 The victim’s accounts of abuse will upset them, and may anger them. 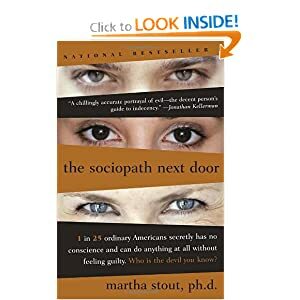 By defending an influential sociopath and abusing his/her target by proxy, the followers prove their loyalty and hope to win favor while getting closer to the influential sociopath they are instinctively attracted to. A narcissistic personality disordered mother has flying monkeys. This is a term taken from The Wizard of Oz, where the flying monkeys do the bidding of the Wicked Witch. The flying monkeys may be your neighbor, church members, siblings, aunts, uncles, grandmother, grandfather, nieces, nephews, etc. 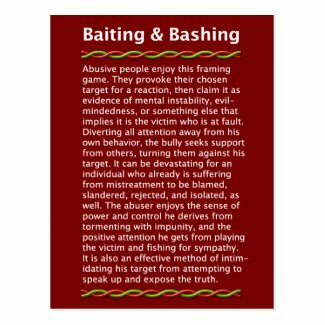 These people do the narcissist’s dirty work and often pour their own abuse on the scapegoat. I spent years of my life trying to show various flying monkeys the truth. It virtually never worked, not once in the twenty or so years I kept trying to “clear the air” or to finally be understood. They do not understand because they do not want to understand. Many are willfully ignorant and blind to the situation. There is not some magical phrase and method you have not yet discovered that is suddenly going to cause these people to stand up for the truth. What I have realized is the flying monkeys generally have their own reasons for behaving the way they do. Some may truly do it out of ignorance, truly fooled for years by the narcissist. However, it is my experience that most flying monkeys have weak characters.